Bobby Mudaliar at the Procera Music Shop. Photo: Siliva Cawaru. 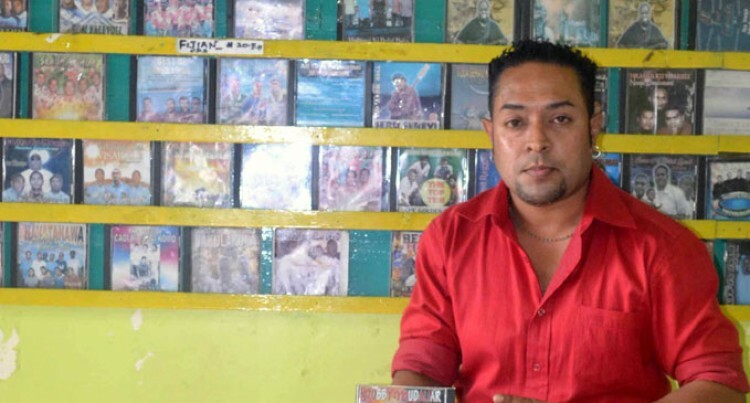 Bobby Mudaliar, of Procera Music Shop, in Labasa Town shared yesterday his excitement after the release of his second album after three years. The 37-year-old artistic sales manager confirmed that his album “Hamara Fiji” (Our Fiji) is to be officially released and available today at Procera Music Shop outlets. “The album consists of 10 songs with the title song as “Hamara Fiji” and it is especially dedicated to the Prime Minister for what he has done for Fiji,” Mr Mudaliar said. “I am proud to be a member of the country with a leadership such as Fiji’s that I dedicate the song also to the FijiFirst Party and their victory,” he said. “I admire their work and what the Bainimarama Government has done for Fiji since 2006 in terms of development,” he said. “Four of the track songs are Christmas inspirations that are remixed by Zonezide DJ,” Mr Mudaliar said. Bobby, as he is generally known, hopes that music will help bring the people of Fiji together. He said the album was recorded at Apma North FM by DJ Sam.